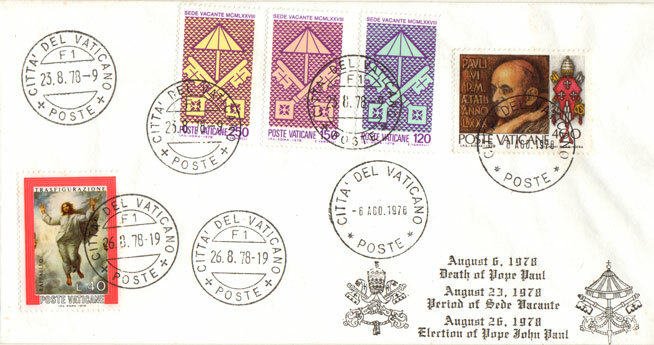 Historic cover triple-canceled: August 6, 1978 (death of Paul VI), August 23, 1978 (Sede Vacante) and August 26, 1978 (election of John Paul I). Monarch-size envelope, printed cachet. Note: FDC cancellation of #635/7 is a commercial cancel!